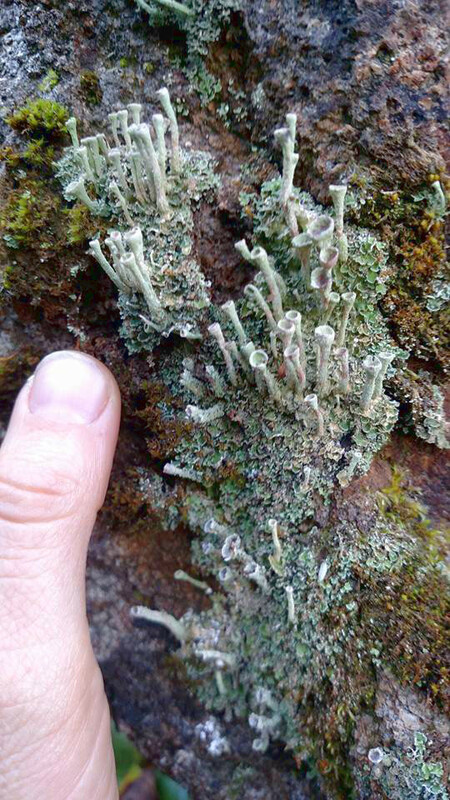 Description: A greenish member of the genus Cladonia. Podetia are powdery, have well-formed cups and grow between 10-45 mm tall. Habitat: Native and wide-spread throughout North America, especially the eastern portions of the United States and Canada. Frequently found growing on rotten wood, tree trunks, mineral soil or humus.